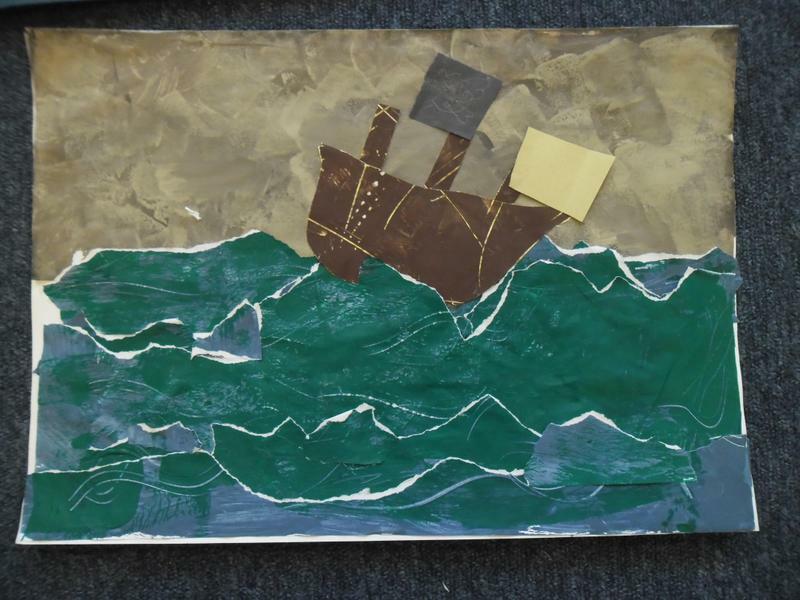 We will now be updating this page regularly with fun activities, links to websites to support our learning in class time, news from the class and the weekly homework. Let us know if there is anything else you would like to see on here! Maths: Practice counting in 2s, 3s, 5s, 4s and 8s. 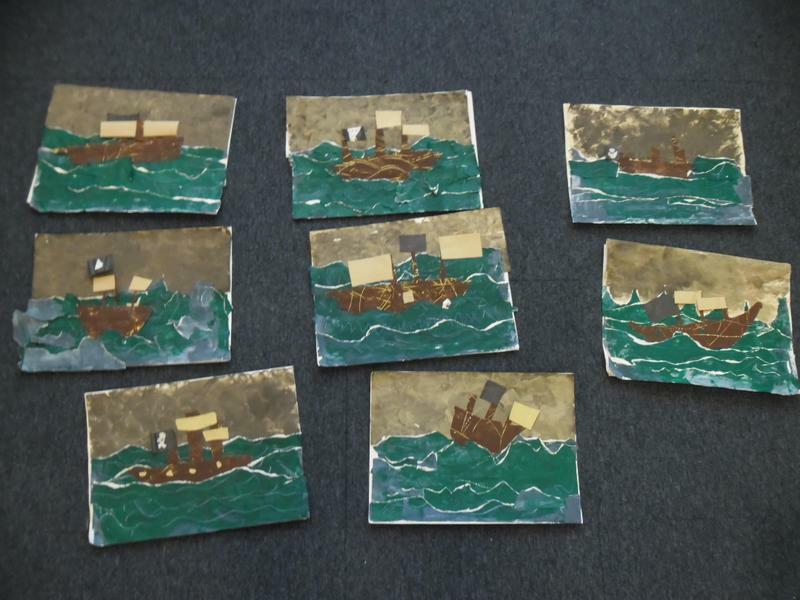 Can you count in different orders – e.g. 2X4= 8, 7X4 = 24, 3X4 = 12, 10X4 = 40 etc. 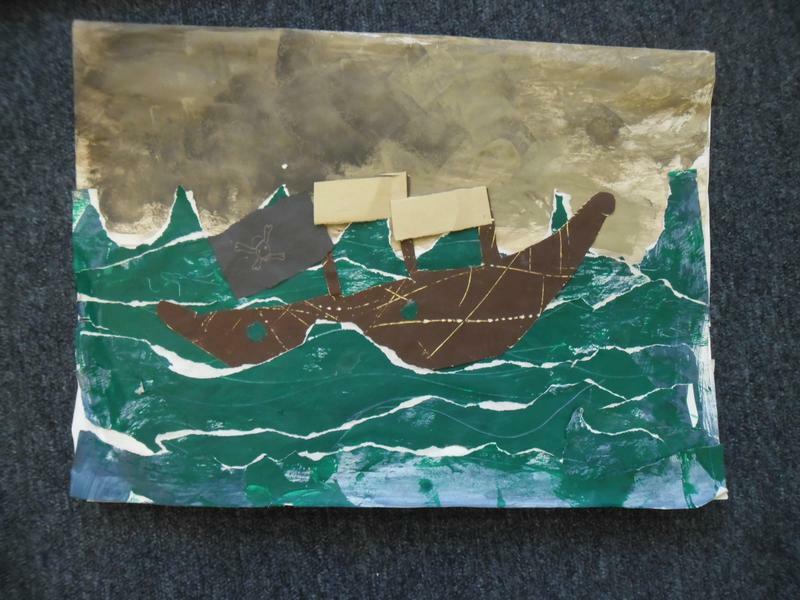 As part of Pirate Week last week, Year 3 looked at the work of the artist, William Turner and worked together to paint and create a collage of a ship in a stormy sea. 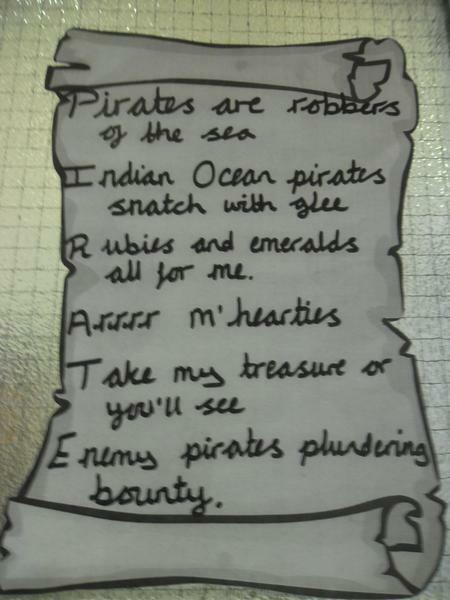 Look at our acrostic poem Year 3 wrote together for Pirate Week. We tried really hard to think of rhyming words. writing spellings out in felt tip, sand or even shaving foam!